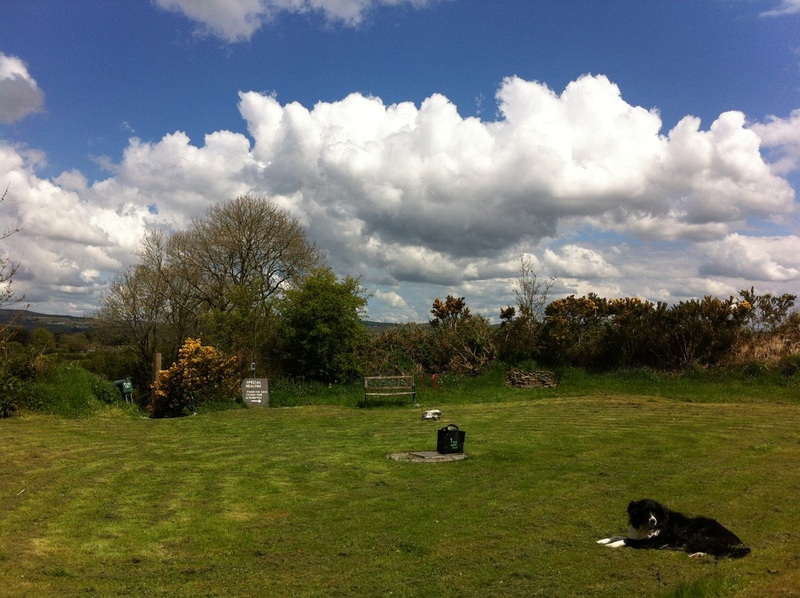 The ringforts at Flemby are two examples of these healing places. Energy points and the energy lines connecting them can be divined in both forts. Everyone is welcome to have a go at divining for these energies. In fort no. 1 there are seven energy points. The energy comes up from the ground and the points are marked with seven flat stones numbered 1 - 7 in a circular formation with point no. 7 at the centre. Visitors to the fort spend time standing on each of these stones. The energy at these points corresponds to the main energy points of the body - the chakras , or energy wheels (CHAKRAS). Chakras can be switched off by illnesses, stress, shock, geopathic energy and more. In the fort, each chakra is cleared, balanced and switched on at its corresponding energy point. Once a charkra is switched on, the body’s organs and glands governed or influenced by that chakra can then benefit and heal. Fort no. 2 also has seven energy points with energy coming from the ground. 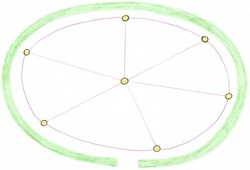 Again, the points are marked 1 to 7 in a circular formation with point no. 7 at the centre. The healing energy at fort number 2 works directly on the organs and glands of the body, helping to repair any damage and improve their functions and overall performance. It is recommended to visit fort number 1 first on five different days over a three week period and then visit fort number 2. This is because the energy at fort number 2 is stronger. People benefit more by allowing their bodies to get used to and benefit form the healing energy of fort 1 first. Both forts can be visited a number of times to give the body the opportunity to absorb the healing energy.